Facebook is the most popular social networking website which has more than 800million users, more than 1million photos are updated every week by facebook users. So this is why facebook comes under the red list of hackers. Most of the users don't knows the close connection of entering personal information, like emails, making unknown friends and playing games on facebook. Today I will show you some of the quick steps on how to prevent your facebook account from hackers. Profile Privacy is the first thing, for the protection of your private data like If you choose Customize, you could be more specific. 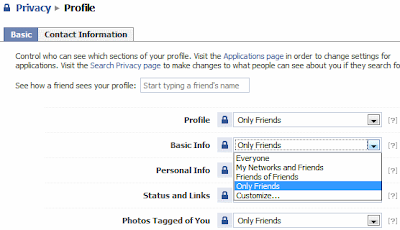 Your Profile Should only be viewed by your friends. Basic Information like email, graduation, job, etc should not be shared by unknowns! Hide your photos too. Click Privacy > Search It is when someone searches you on facebook by your name. 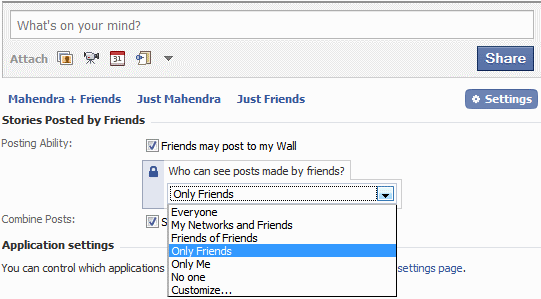 This option is an important way to get protected your Facebook privacy. It should be to Everyone but don't cross the limits of sharing, share your friend list if you want, Add Friend, Someone message you! 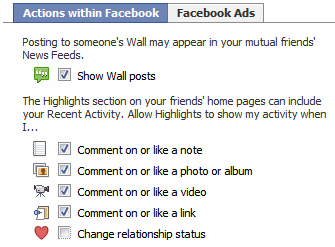 Our practice and actions in Facebook such as likes, comments, posts appear as friend feed on ALL your friends’ home wall. You can only turn this privacy on or off. Go to Privacy > News Feed and then Wall and choose whether you want your friend or ex-boyfriend/girlfriend to know that you’re in love or not. Go to your profile wall, click Options > Settings under the option box. Here you can change the privacy whether your friends can post status or pictures on your Wall, and who can check the status made by your friends on your wall. Go to Privacy > Applications, and click the Settings option check all the boxes should be unchecked. 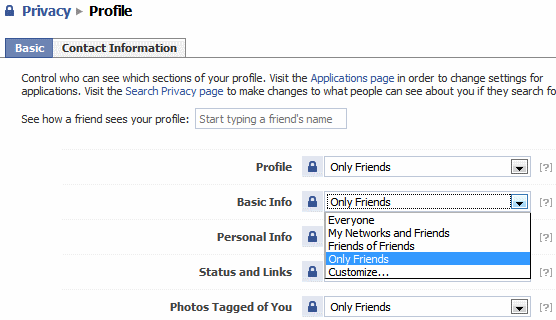 These settings share what information about you is visible to games/applications installed by your friends. It could be Facebook Virus, Trojans, Spywares made by your enemy friend. These were the all main tips to get safeguarded from hackers, Hope you enjoy it :) Good Luck!